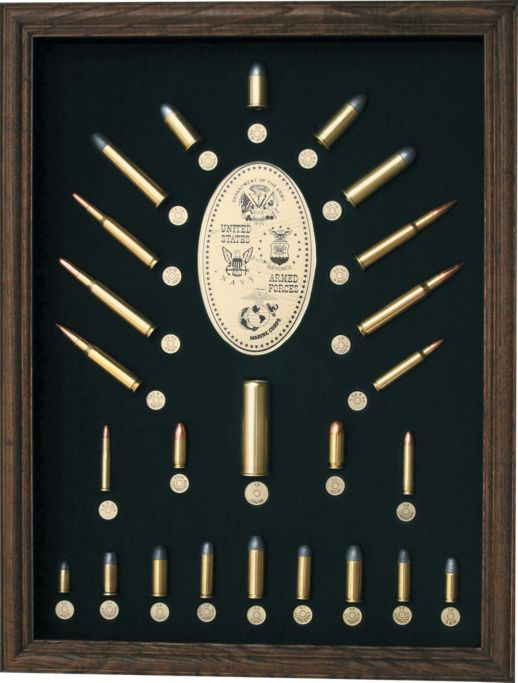 Tatonka® Cartridge Boards are cartridge displays created from non-live ammunition and make a nice addition to whatever wall of whatever room you may choose to place them on. The aesthetics are nicely done creating an unobtrusive, but interesting display. 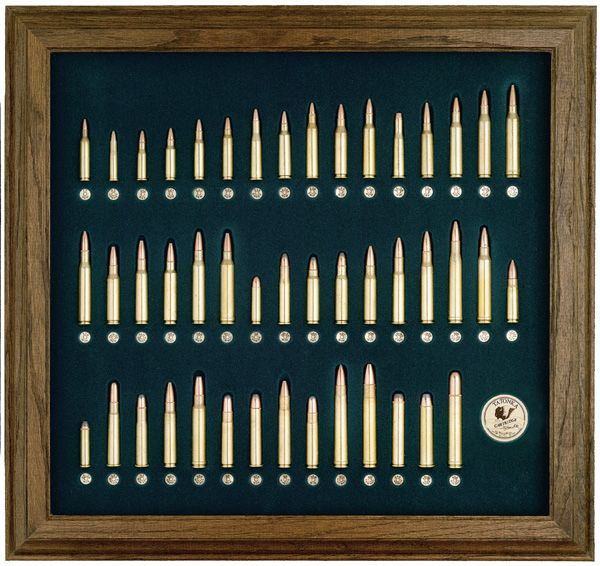 The Tatonka® rifle display board features the common US calibers. 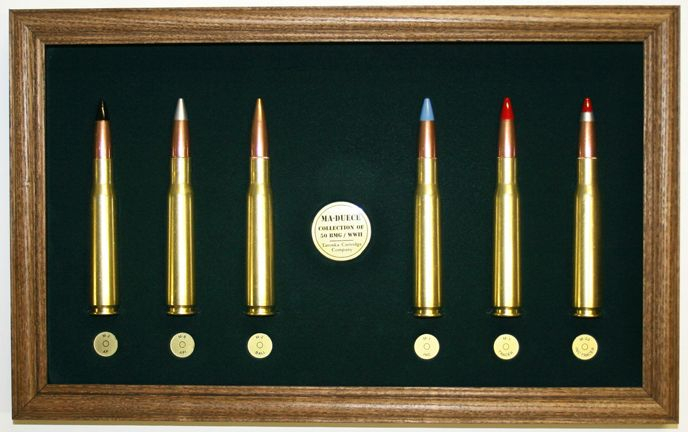 With their tasteful wood frames and dark background into which the cartridges are seated these display boards are both informative and eye-catching. The US Military display board would be equally at home in the den or in a history teacher’s classroom. 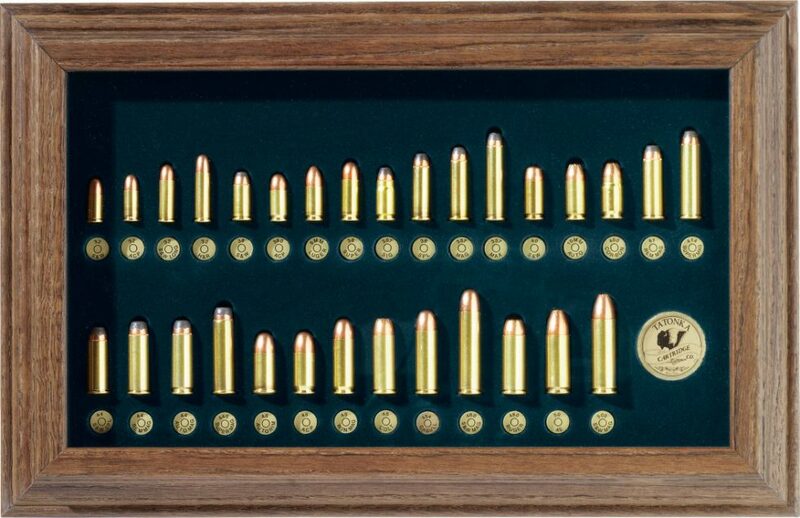 You will find these cartridge display boards for sale at Cabela’s if you click here. Even the good old Browning .50 has a board all to itself with some military loadings. The military loadings of the Browning .50.